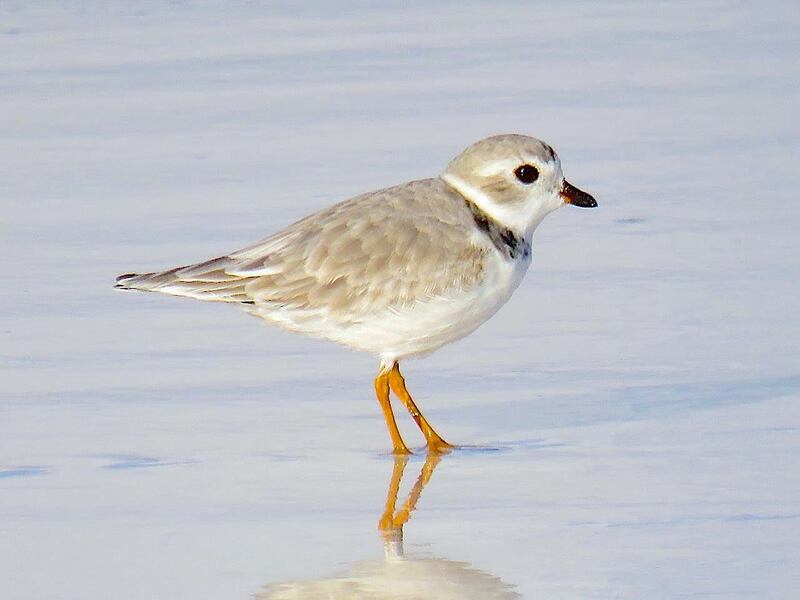 Last year someone kindly reported a lone piping plover sighting on ABACO PIPING PLOVER WATCH. I like to get a few details, so I asked what it was doing (meaning: sleeping / mooching / foraging / flying?). 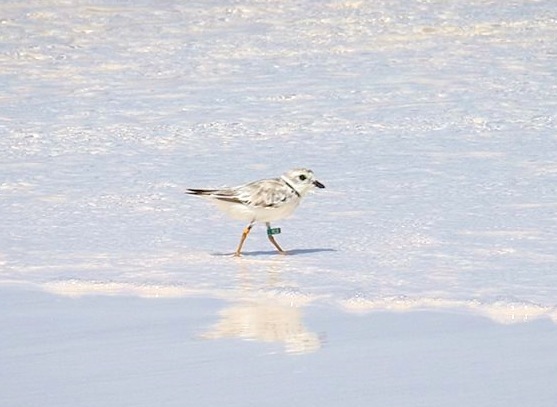 She replied – and I knew exactly what she meant – “Oh, a-pipin’ and a-plovin’ about on the beach”. 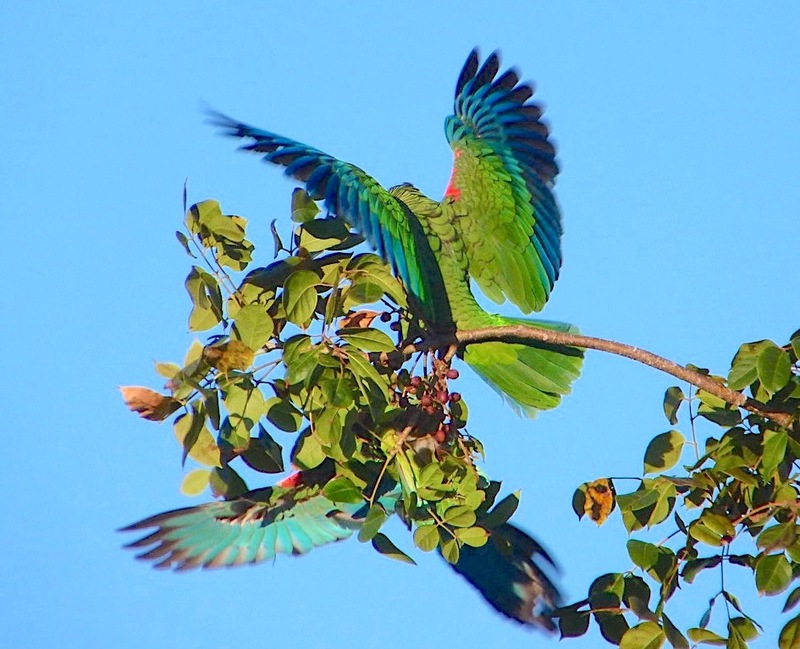 A very evocative description of how these tiny scuttling birds pass their days! The A P P Watch is now into its 4th month. The earliest reported arrival for the fall winter / winter season was as early as July 30. 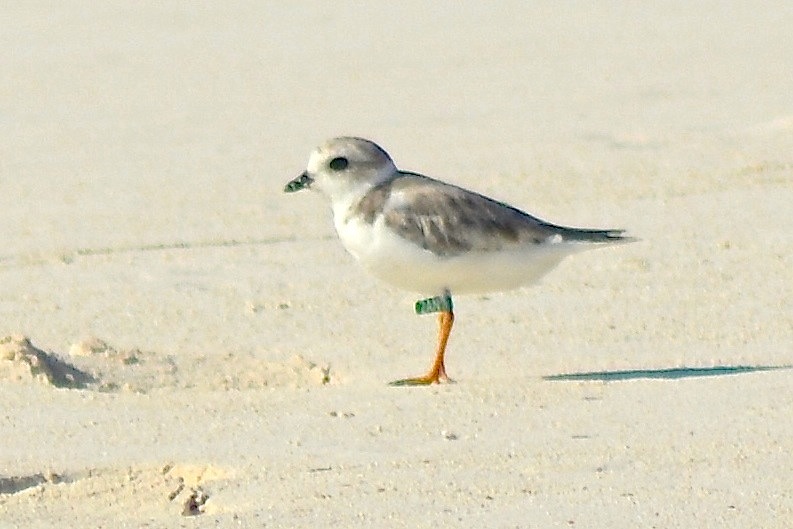 The first banded bird was reported on August 4, in a small group of 5. 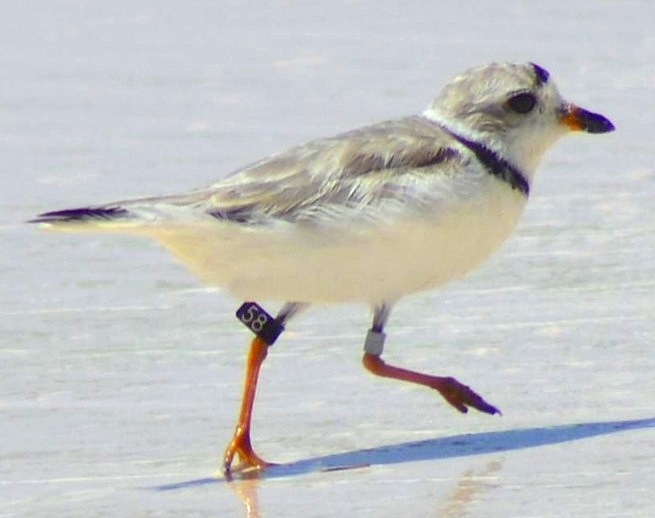 The leg bands (upper right Green Flag coded YLO; upper left Orange Band) at once confirmed the bird as an unnamed returner originating from Fire Island National Seashore NY – to the very same beach where it was sighted last December. 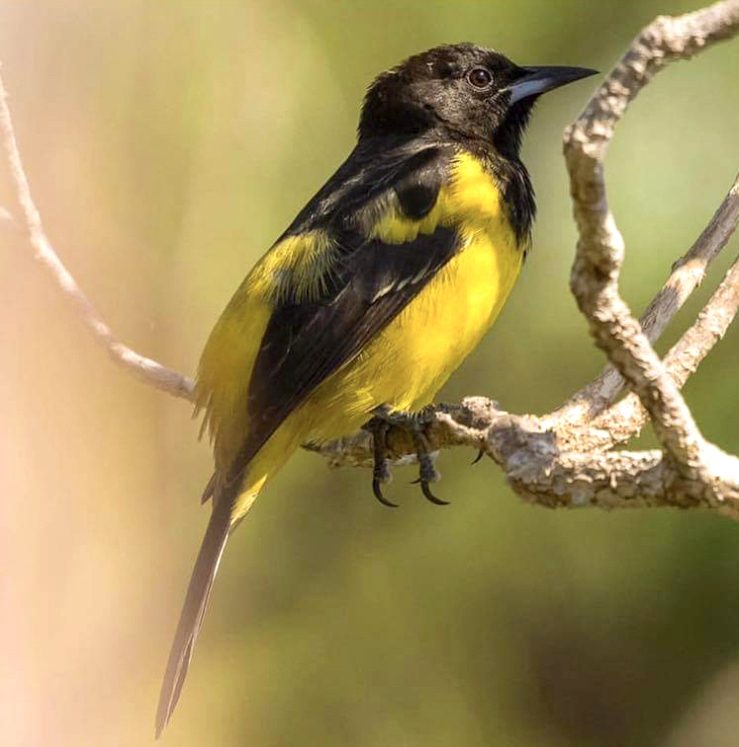 That is known as ‘beach fidelity’, and is a most important piece of conservation data, because it is evidence that the beaches of Abaco provide a safe and unspoilt winter habitat for this vulnerable and threatened species. YLO was renamed Coco to reward his contribution to empirical conservation study. 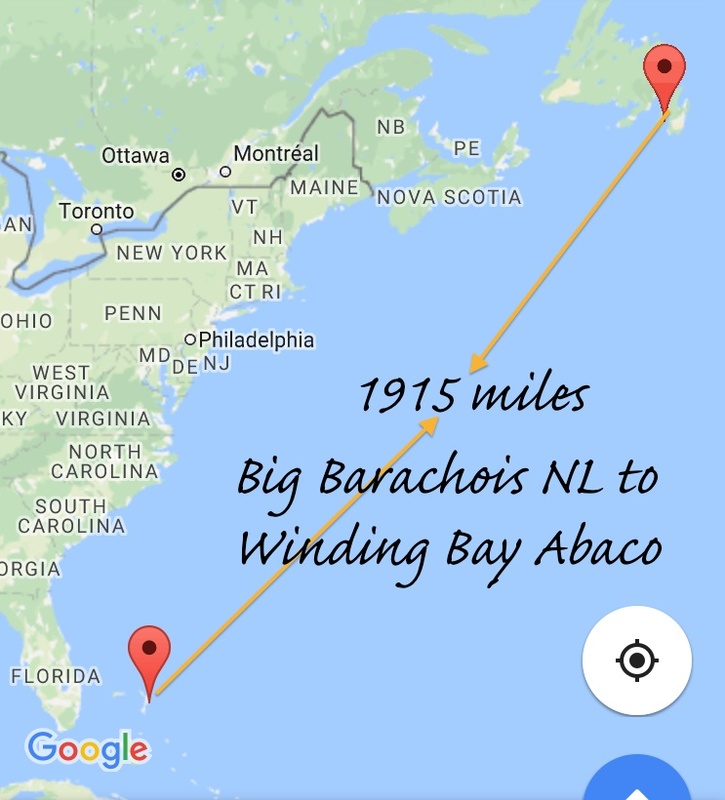 We didn’t have to wait long for the next banded bird, one that had undertaken the longest journey we have yet come across, nearly 2000 miles (direct) from Big Barachois, Newfoundland. 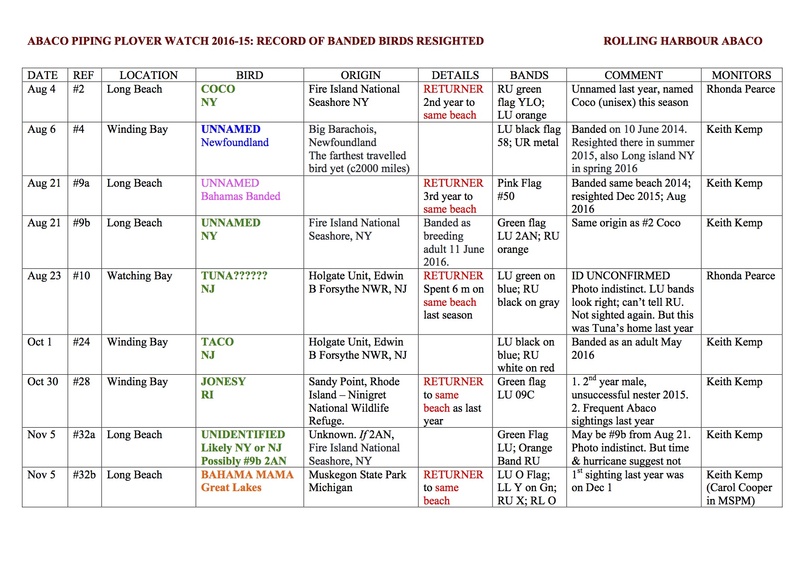 Black Flag 58 was soon traced to his origin and details of his adventurous life were uncovered – two summers on the same breeding beach, and a spring sighting on Long Island, NY. The next find was a precious ‘Bahama Pink’ on Long Beach, known simply as… Pink Flag #50. 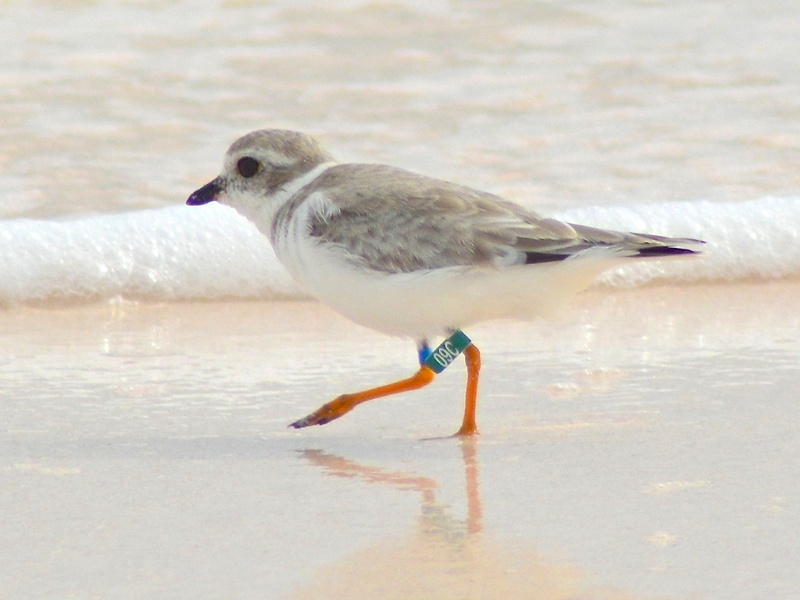 She was banded on the same beach in 2014; resighted there in December 2015; and had returned for her third visit before the end of August 2016. The perfect example of ‘beach fidelity’. 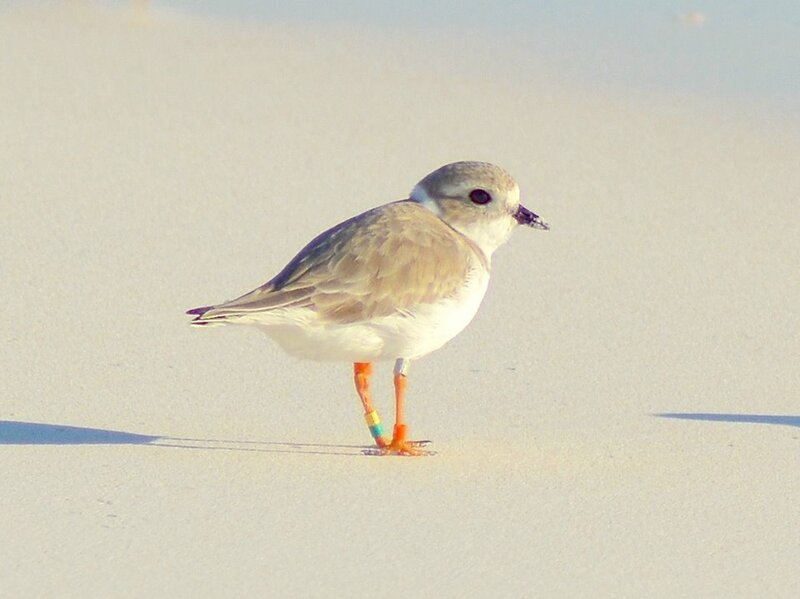 In the same group that day was another exciting find, this time a new bird Green Flag 2AN originating from the same place as Coco above: Fire Island National Seashore, NY. 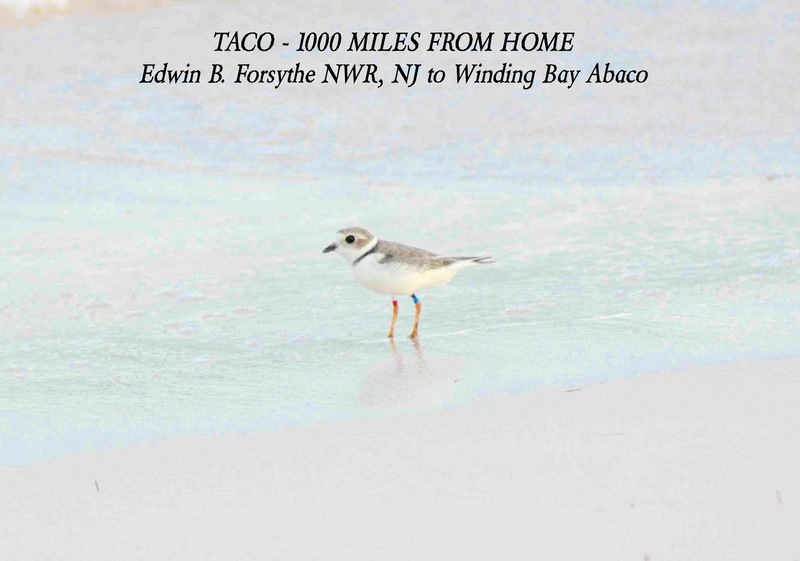 There was a bit of a lull with banded bird sightings until October, when ‘Taco’ from the Holgate Unit, Edwin B. Forsythe NWR, NJ showed up. We had two other birds from the same location last season. Soon after, a returner from last season arrived back on his same beach to join Taco. Jonesy was originally ‘Mrs Jones’, as in the song, until he was identified as a male and had to be renamed. 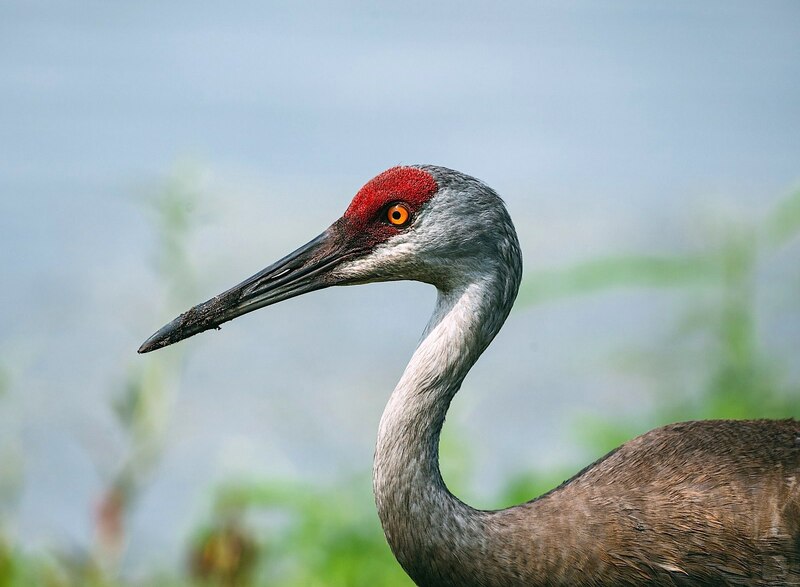 He originated from the Ninigret NWR, R.I. 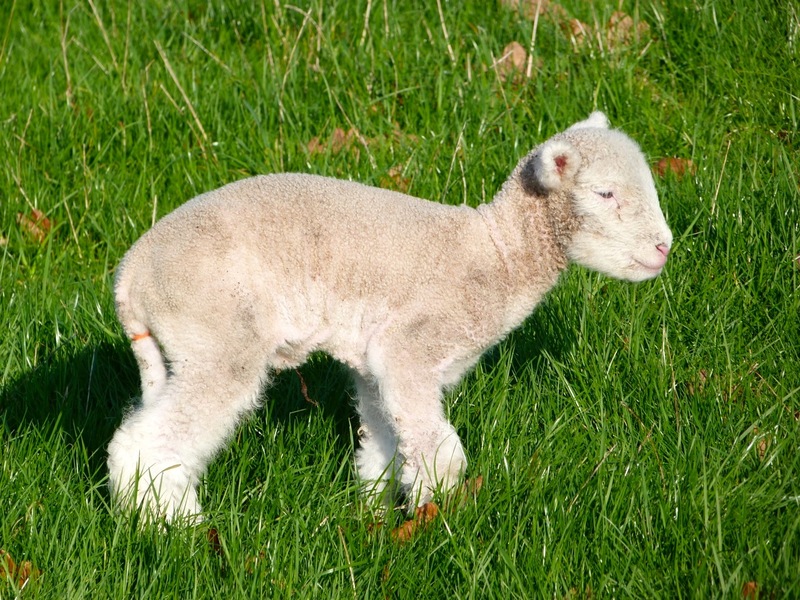 He and Taco are still keeping company – they were seen together only yesterday. 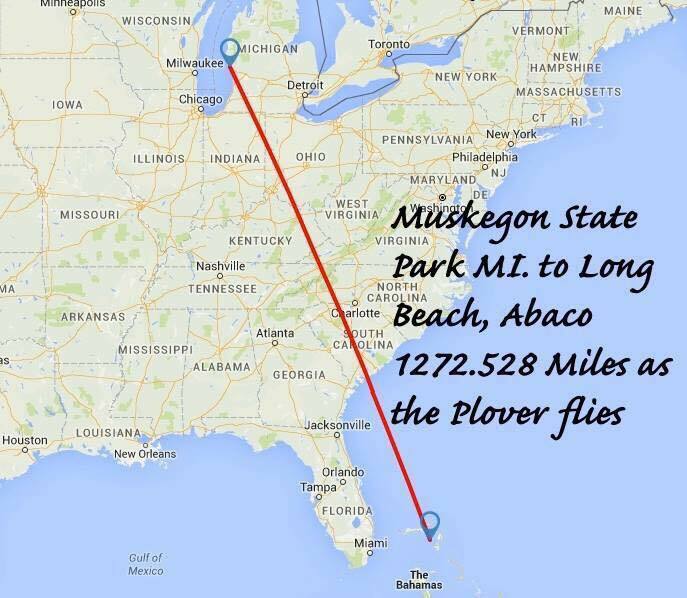 Finally, a warm Abaco welcome please to the aptly named Bahama Mama, a rare Great Lakes bird from Muskegon State Park, MI, resighted in early November. She was found on the same beach in December last year. 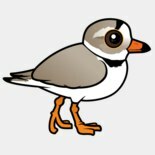 So far this season, all the banded birds have been positively identified except one – a tantalising possible sighting of last year’s ‘Bird of the Season’ Tuna on ‘his’ beach. From a distance shot the bands on one leg looked right… but all-in-all the image is simply not clear enough (and heavily pixellated with onscreen adjustments) to be certain. 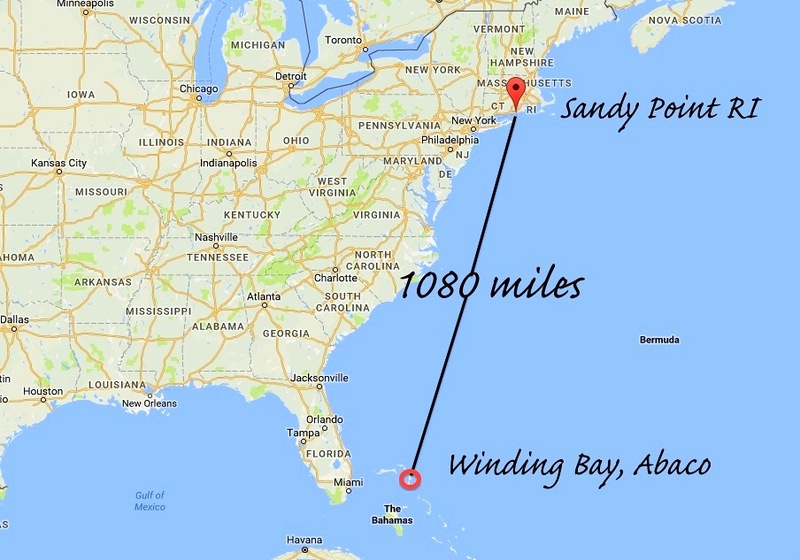 This entry was posted in Abaco, Abaco Birds, Abaco Wildlife, Bahamas Birds, Bahamas Conservation, Birding Abaco, Conservation Abaco and tagged Abaco Birds, Abaco Conservation, Abaco Piping Plover Watch, Abaco Wildlife, Bahamas Birds, Beach Fidelity on Abaco, Jonesy the Piping Plover Abaco, Keith Kemp, Peter Mantle Delphi, Piping Plover Abaco, Piping Plover Banding, Piping Plover Conservation, Piping Plover ID, Piping Plover Migration, Piping Plover Range Map, Rhonda Pearce. Bookmark the permalink. 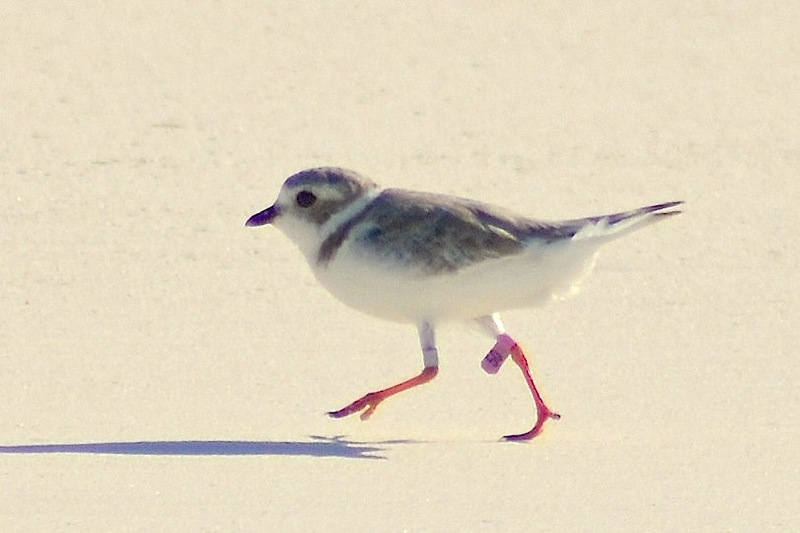 Thank you so much for looking after my beloved Bahama Mama & the updates on all the plovers. I grew up on Great South Bay Long Island and Fire Island. 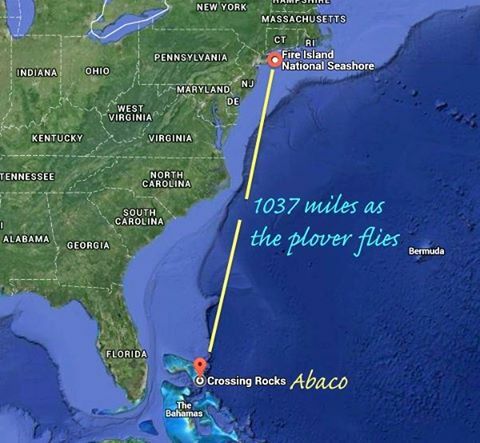 How delightful to know some of the Plovers and I share Beach Fidelity! Very impressive, RH! The A P P Watch has done very well in the four past months.